Come out to the Johnson City Power Board's (JCPB) headquarters in Boones Creek and enjoy some southern hospitality during our celebration of the 24th annual Public Power Week. 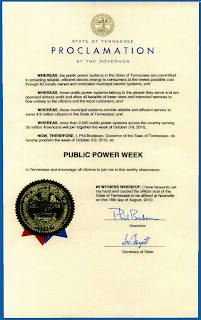 Designated as the first full week of each October, Public Power Week was organized by the American Public Power Association (APPA) and its member utilities as a means to educate communities on the intrinsic value of publicly owned not-for-profit electric utilities. The JCPB is proud to be one of our community's greatest assets and our staff wants to express our appreciation throughout this week by offering snacks and refreshments in our lobby Monday (10/4) through Thursday (10/7). Also, if you need to come through our drive through window, stop in on Tuesday and Thursday during your lunch break and we'll even give your windshield a good scrub. While the employees at the JCPB are here to serve 24/7, take advantage of this opportunity to stop by and get to know us a little better while we serve you in a "refreshing" new way. 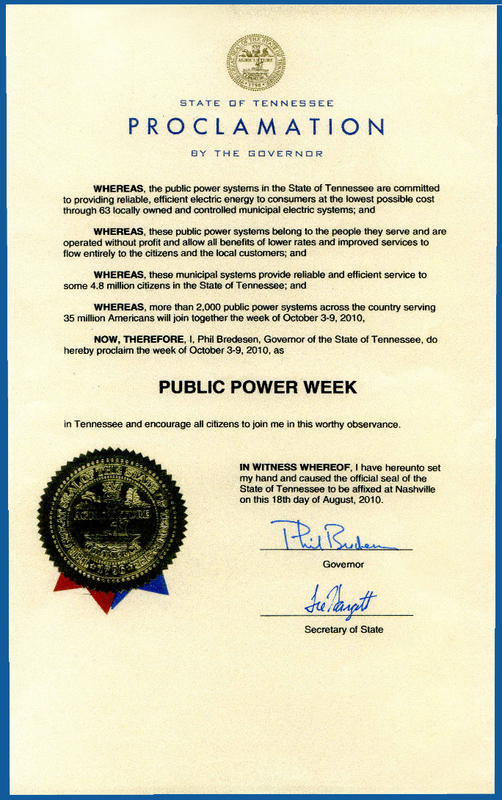 Happy Public Power Week :-) !! !